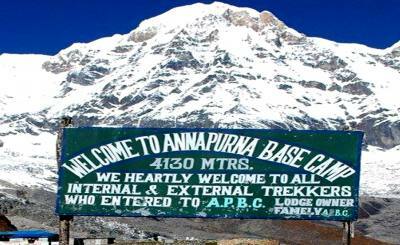 Annapurna Base Camp (ABC) Trek. Derived from the Sanskrit lexicon, Annapurna means the “Goddess of Harvests”. 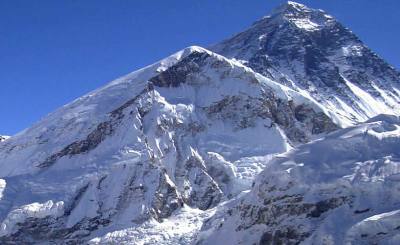 Also recognized as the Annapurna Sanctuary Trek, the ABC trek falls under moderate-difficulty level. 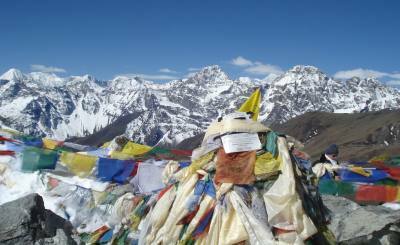 The maximum altitude reached on this trek is 4090 meters. The Sanctuary trail has only a few sharp ascends and is feasible for trekkers of commonplace fitness. The highlights of the ABC trek comprise of a mesmerizing view of the sunrise and sunset over the Annapurna mountain range. The pathways leading up to ABC embrace a cluster of culturally rich villages projecting traditional ethnicity of the Gurung and Magar groups. 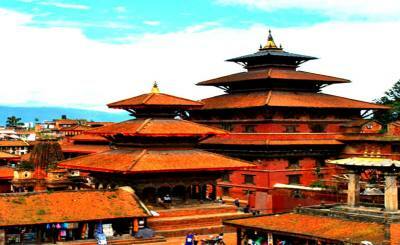 The trekkers will have the honor to look upon the high prevalence of Buddhism in this region. 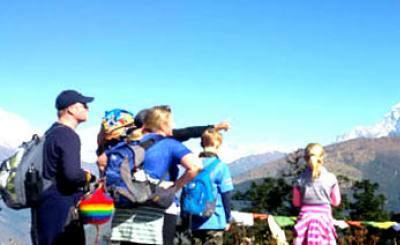 Moreover, the visitors also get an opportunity to explore the forest of the worldwide acclaimed Annapurna Conservation Area (ACA). The forest area is mainly popular among tourists for bird watching. 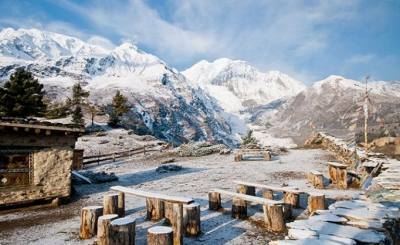 Annapurna Base Camp Trek is famous for the views of stunning landscapes, terraces, lakes, forests, and mountain views. Located at the heart of the Annapurna massif and along with being entrenched at a towering elevation of 8091 meters, Mount Annapurna is the tenth highest mountain in the world. 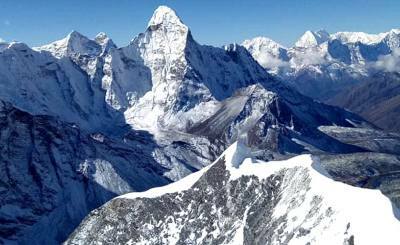 It was first surmounted in 3rd of June, 1950 and has been drawing mountain climbers from all the nooks and corners of the globe ever since. It was the first eight thousand Altitude Mountains to be climbed. The glorious Annapurna stands tall beside its sisters Annapurna Fang (7647m), Annapurna III (7555m) and Annapurna South (7219m). As the sun kisses the snow-capped Annapurna, it solidifies into a sight that will be etched into the beholders' eyes and mind forever. 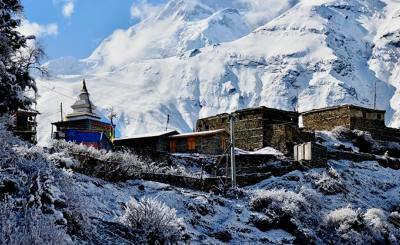 For cultural closure, the trek to Annapurna Base Camp Trek makes sure you get to have a first-hand experience of it. Staying at the cozy Gurung villages will provide the trekkers a chance to get acquainted with their unique traditional routine and lifestyle. 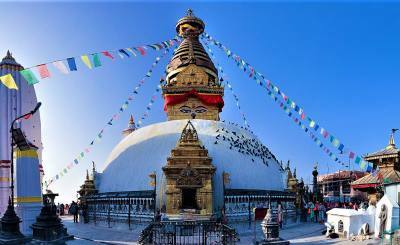 Surprisingly, the visitors will learn that places such as Ghorepani, Tadapani, Chhomrong, Donovan, and Deurali have remained the same for over centuries when it comes to preserving what has been passed down from the preceding generations. Villages like Ghandruk and Ghale Gaun are prominently dominated by Gurung families. The cultural aspect of the ABC trek is mostly displayed by the native Gurung members who have played a crucial role in flourishing the reputation of this widely acclaimed trekking region. Inhabitants of the mighty Annapurna fortress and the trans-Himalayan valley, the Gurung and Magar indigenous groups of the region lead a simple life and have a great affinity towards socializing with the travelers and also encourage a great deal of cultural exchange. The fair-skinned individuals with often rosy cheeks are recognized for their hospitality and are known to treat their guests as Gods. Most of the doughty and plucky soldiers of the Gurkha Army are descendants of the Gurung and Magar clan. Magar villages lie at the western region of Myagdi district, encompassing villages like Ghorepani and Khopra Danda. The hot springs of Jhinu Danda are the perfect stress-reliever for your exhausted mind and body. This spot is sure to rejuvenate you and restore all the dwindling energy running your veins. You will encounter the hot spring on the way back from the base camp. Jhinu is a diminutive settlement, located at the summit of the ridge. It also houses beautiful teahouses and artsy craft stores. Present there are three pools of different temperatures including a natural shower to cleanse yourself and a small one to drench in the frigid waters flowing through Modi Khola. These pools help relieve pain and sore muscles to aid you on your journey ahead. The jaw-dropping landscape and the rugged topography of the Annapurna region is a celebrated tapestry of ecology and biodiversity. With a wide range of flora and fauna of questionable vulnerability status and abundance at the same time, the Annapurna Conservation Area thus came into existence. The forest is full of rampant species of rare flora and fauna including the national flower rhododendron, pine, spruce, fir trees and reptiles, musk deer, leopard, monkeys, bears etc. All in all, the area is undeniably concentrated when it comes to natural aesthetics, comely environment, and cultural richness as well of high ecological value. 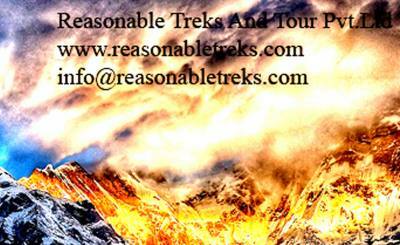 To anyone looking forward to soaking in some moderate level trek sweat, Annapurna Base camp Trek is the perfect escapade. The travelers will fall into the spell of the luscious spectrum of greenery and feel the towering mountains caving in when they reach the final destination. So, look no further, pack your bags and get, set, trek!